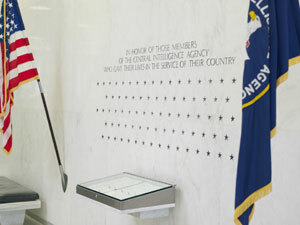 The CIA Officers Memorial Foundation was created by a group of concerned Americans who wished to assist the survivors and dependents of CIA officers who died in the line of duty. These survivors and dependents deserve the support of their fellow Americans because of the supreme sacrifice made by their loved ones in defending the freedoms cherished by all Americans. Since its inception the Foundation has reached out to these families and provided assistance, primarily support for college, technical training, or professional education. The Foundation’s Board of Directors also has authorized other types of assistance on a case-by-case basis as available funds would allow. The CIA Officers Memorial Foundation is a tax-exempt charity under Section 501(c)(3) of the Internal Revenue Code. All contributions to the Foundation are tax deductible to the full extent allowed by law. *Please note “Pedaling for Patriots” on your donation. If you are interested in becoming a corporate sponsor or would like your donation listed on our sponsor page, please contact us at info@pedalingforpatriots.com. Additionally, we are accepting donations on behalf of the Memorial Foundation via PayPal. Please note that Paypal charges a transaction fee that will be deducted from your donation (usually 3-4%).